The Caravan Medium Chamber Alto Saxophone Mouthpiece is an open-chamber mouthpiece that produces a nicely balanced dark sound, but not as dark as the large-chamber alto mouthpiece. Wider-than-normal tip and side rails on this mouthpiece enhance tonal homogeneity and smoothness without an excessive increase in blowing resistance. The medium-chamber alto mouthpiece is available in one standard facing that exhibits a tip opening of around .062 in. 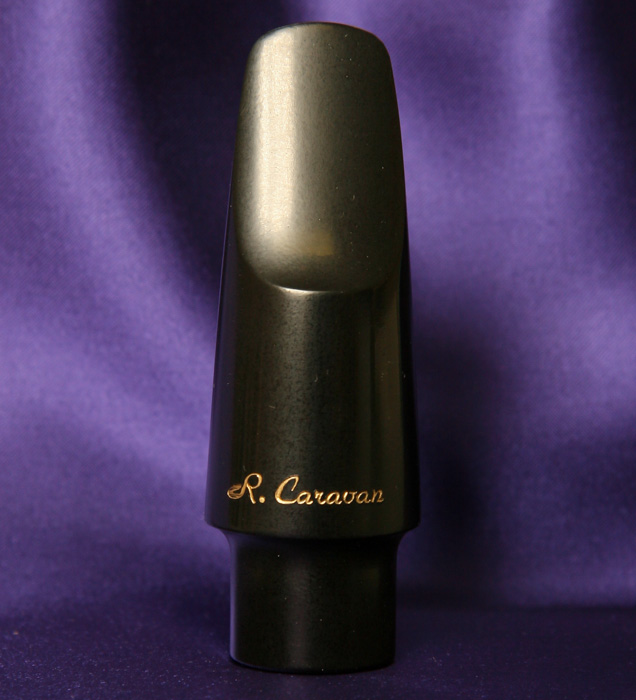 (More detailed information on the differences between the large–chamber and medium–chamber alto mouthpieces can be found under “Mouthpiece Design Info” accessed from the caravanmouthpieces.com menu.